A new album featuring hit songs from Karen Knowles and special music from the Wirradjirri Indigenous people. 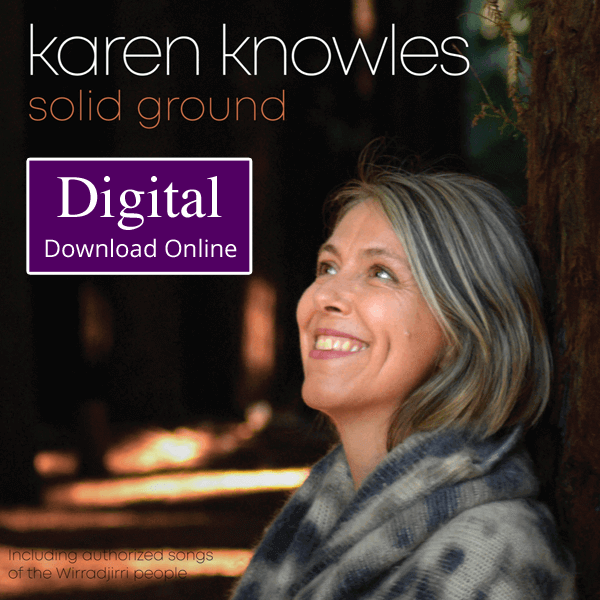 Introducing Karen Knowles’ Solid Ground album. This is the digital version to download and add to your favourite music device or platform. 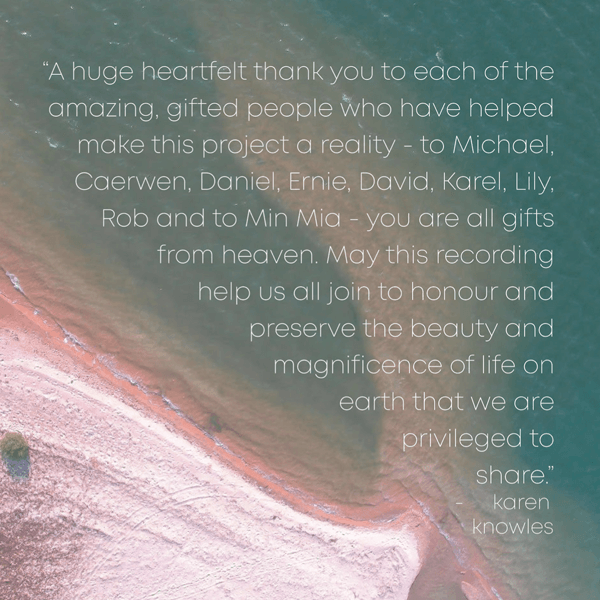 A new album featuring songs by Karen Knowles and Michael Kokinos (guitars, harp) and Caerwen Martin (cello) with authorised sacred songs from the Wirradjirri people (including introductions by Wirradjirri elder Min Mia). This Solid Ground album has been brewing for a few years. Initial songs like Listen and Hit the drum were written back in 1999 but seem most appropriate and relevant in today’s time. 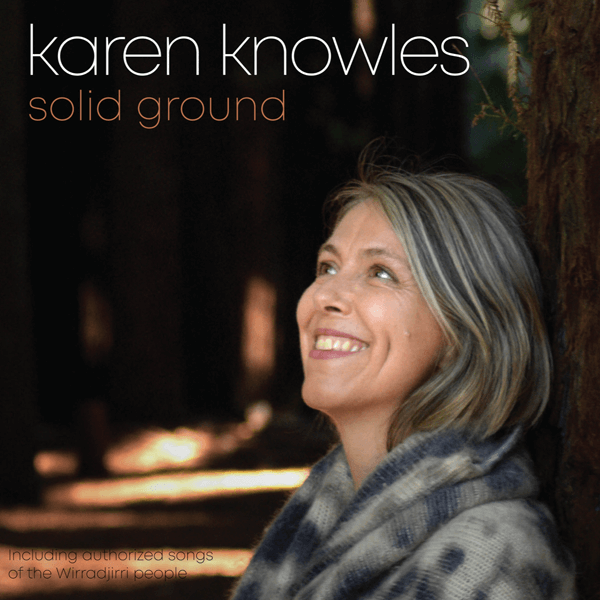 Other songs have been written by Karen between 2016-2018 and the title track Solid Ground was composed by Karen and Michael Kokinos in the recording studio in 2018. The album also features three sacred Wirradjirri songs that Karen was requested to sing by Min Mia (Wirradjirri lore holder).